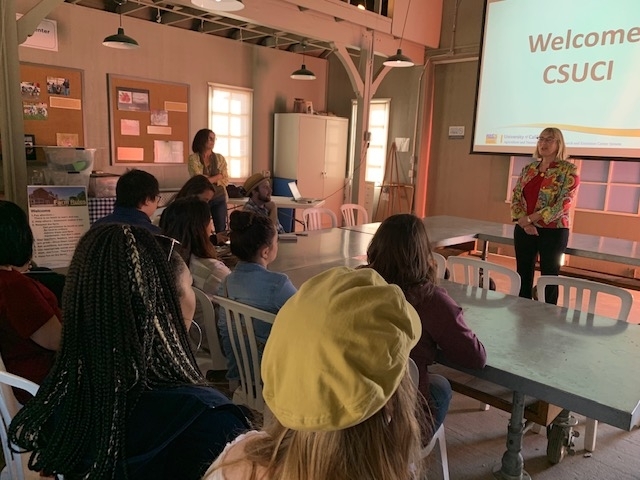 A warm HAREC welcome to Dr. Tracylee Clarke and her Leadership Studies class from CSU Channel Islands. 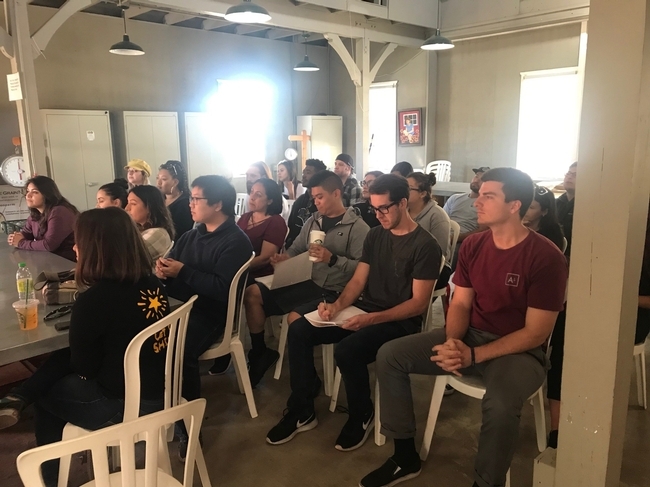 Dr. Clarke brought 22 students to see how leadership skills learned in class might be applied on a Research and Education Center. Throughout the visit, Dr. Clarke, referred students to curriculum learned in class and how it is reflected at the Center. Some students are environmental communication majors who might come to volunteer at UC HAREC in the future for their capstone project. Dr. Annemiek Schilder, Center Director, provided insight into Ventura County agriculture and research projects in progress at UC HAREC. Dr. Schilder also provided insight from her personal history with agriculture and explained how she sharpened her expertise over time. One student asked Dr. Schilder whether UC HAREC is doing research on hemp. She emphasized that industrial hemp is different from cannabis even though they are the same plant species. Industrial hemp is grown for its high-quality fiber and CBD oil and does not have the chemicals (especially THC) that make people high. 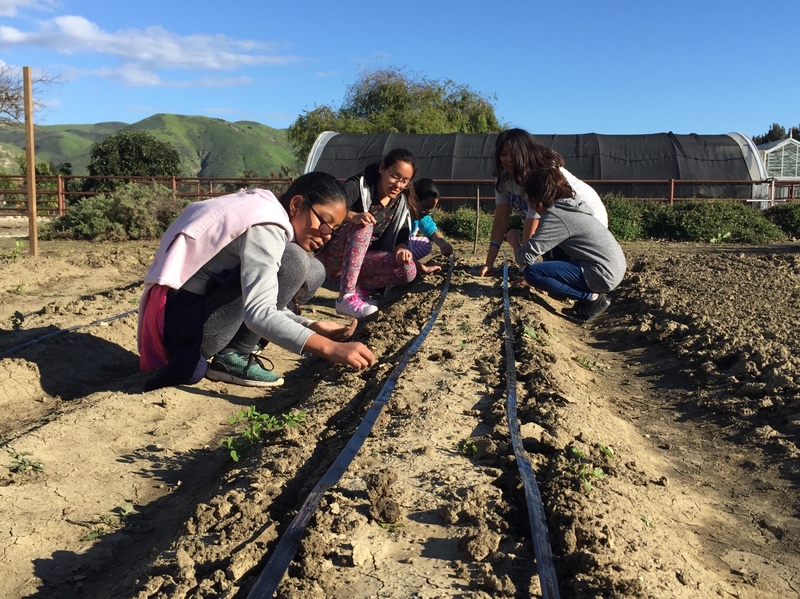 At this time, help in California can only be grown under a research agreement and registration with the county agricultural commissioner. At harvest, the THC level must be under 0.3%; if it is above that, the crop will be destroyed. Susana Bruzzone-Miller, Youth, Family & Community Education Program Manager, discussed youth education program opportunities at the Center. She also reviewed potential career paths and internships opportunities for communication majors at the Center. After the presentation, she led students on a tour of the grounds stopping at each research project to briefly describe. 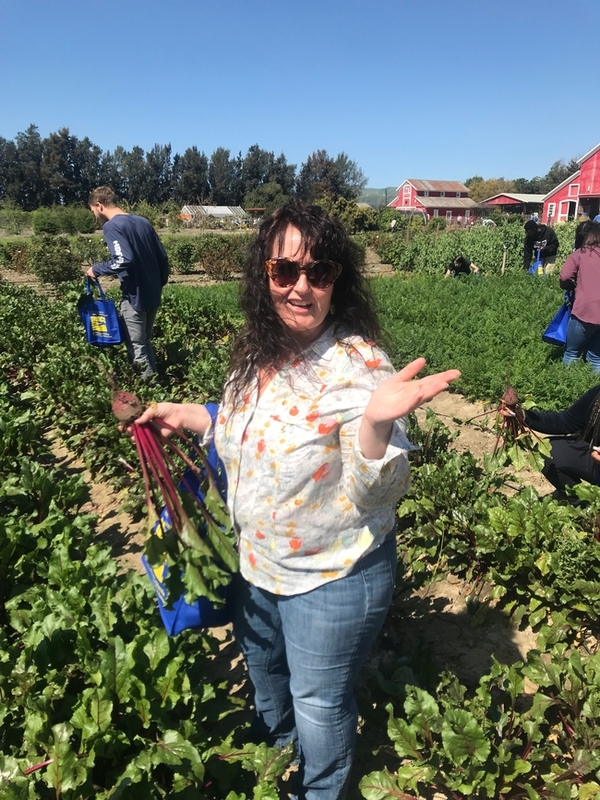 The class concluded their field trip with an opportunity to harvest kale, beets, carrots and sugar snap peas. 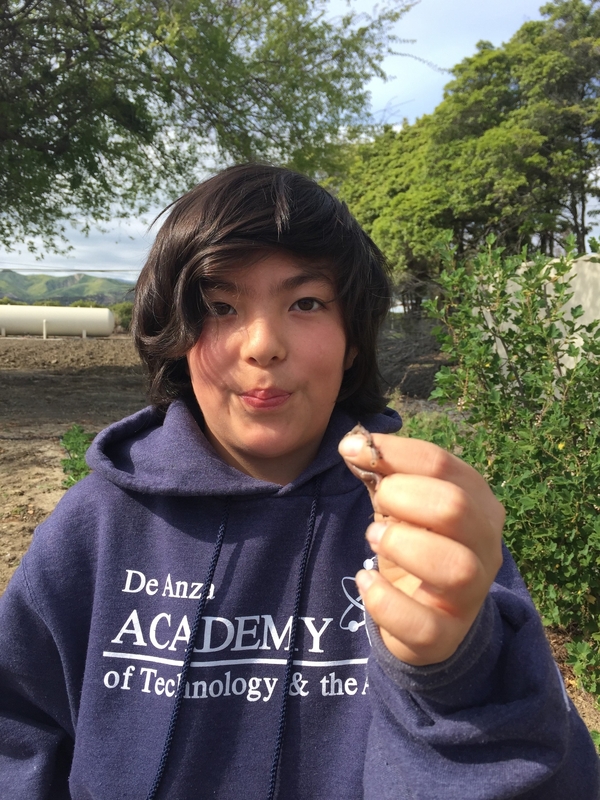 Oscar Vasquez commented, “I have been to the farm before and I always find it fascinating when I get to walk around the research projects that are in progress. The students were very perceptive and showed genuine interest in the discussion about research at UC HAREC as well as within the industry. A great opportunity to get real-world exposure while still in college. 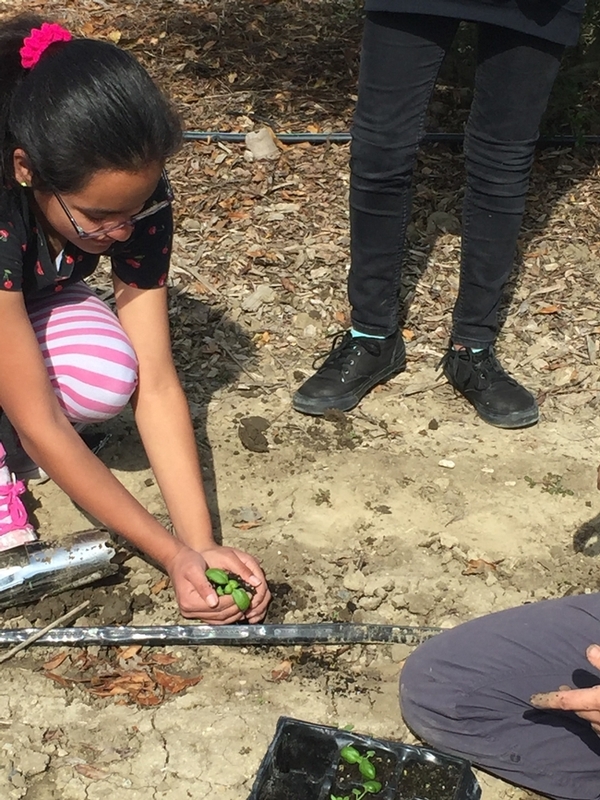 4-H Student Farm is an after-school program that has inspired students to engage in healthier eating habits and learn where their food comes from. The six week program also provides an opportunity for middle schoolers to acquaint themselves with agriculture. 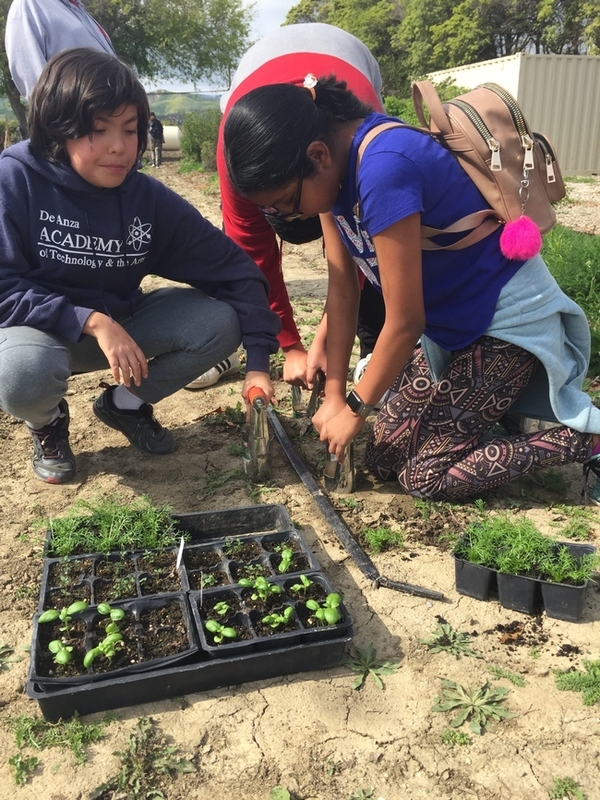 The students follow a curriculum that touches on the agriculture industry, the complexity of good soil, importance of pollinators as well as the practices of planting and harvesting. 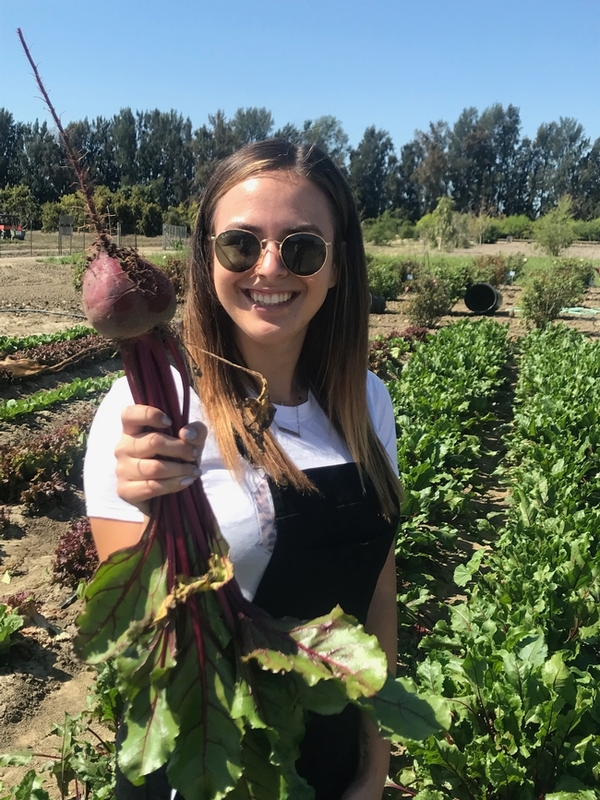 A new intern joins the Education Team this spring. Meet Joseph Nosrat, Environmental Communications senior at CSU Channel Islands (CSUCI). Joseph obtained an Associate Degree at Mt. San Antonio College. He was on course to become a civil engineer when he found his true calling for communications in a public speaking course. 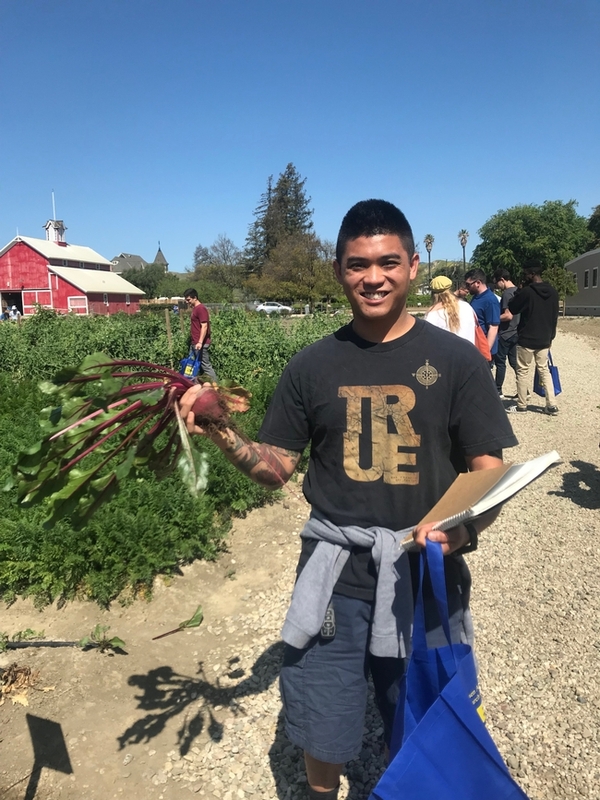 A transfer student to CSUCI, Joseph chose a Bachelor of Science Communication major with emphasis on the Environment Studies. 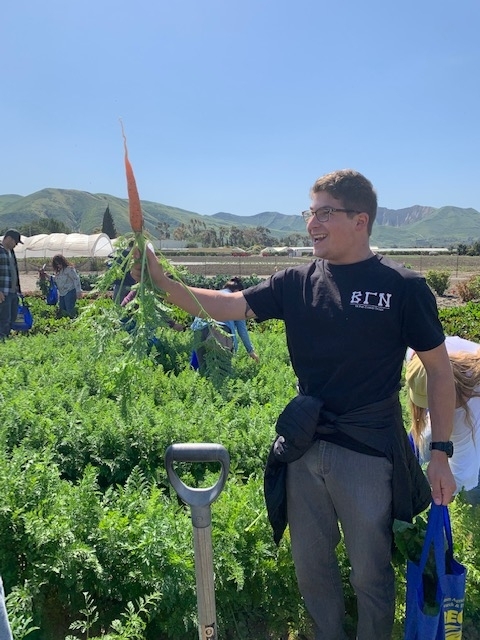 Living in Ventura County Joseph began to connect the importance of agriculture with the environment “and the copious opinions associated with agriculture”. In his final semester, Joseph is honing his communication skills in advanced course work—environmental conflict and resolution course encourages students to mirror both sides of environmental conflicts without bias. And a collaboration innovation and teamwork course places groups of students to work in local non-profits. Upon graduation in May 2019, Joseph is interested in pursuing a job with the National Parks Service or The Nature Conservancy. Long-term plans include furthering his education in graduate school. Joseph believes “there is a future in the environment and that future begins with communication along with resolving contrasting opinions”. His spring internship at HAREC will put Joseph's public speaking and communications skills to good use. 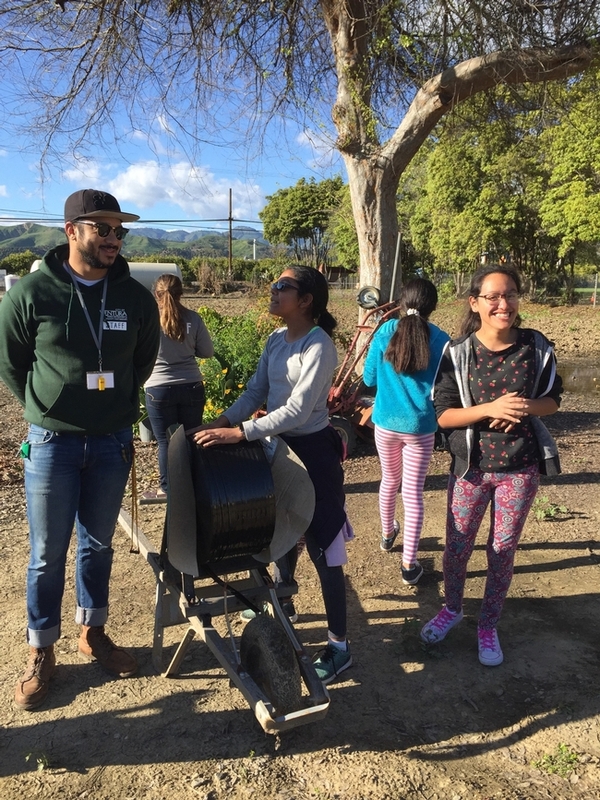 Joseph will be working along-side staff and volunteers in the 4-H Farm Field Trip and Student Farm programs to deliver agricultural literacy, nutrition, and sustainability concepts to youth ages Kindergarten to 8th grade. Joseph will also be a guest blogger for Hansen News. Imagine turning kitchen leftovers into an indoor garden and at the same time reinforcing concepts of recycling and reusing. Kitchen Scrap Gardening does just that! HAREC is preparing for 2019 education season. This spring a new second grade classroom outreach lesson will roll out. 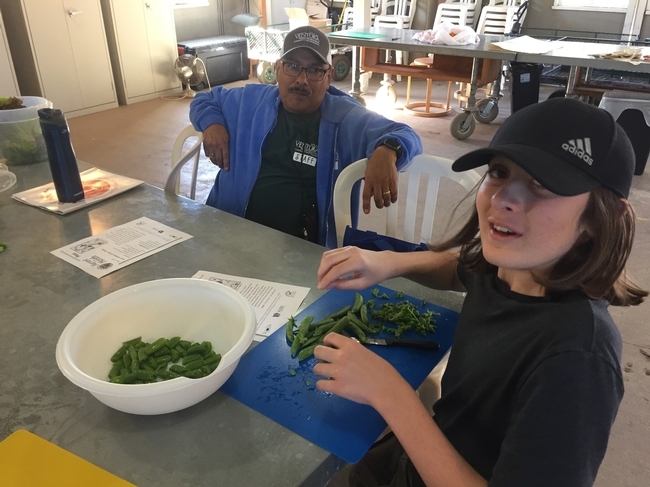 The Kitchen Scrap Gardening lesson shows youth that some vegetable scraps that might otherwise end up in a compost pile can actually grow into new plants. 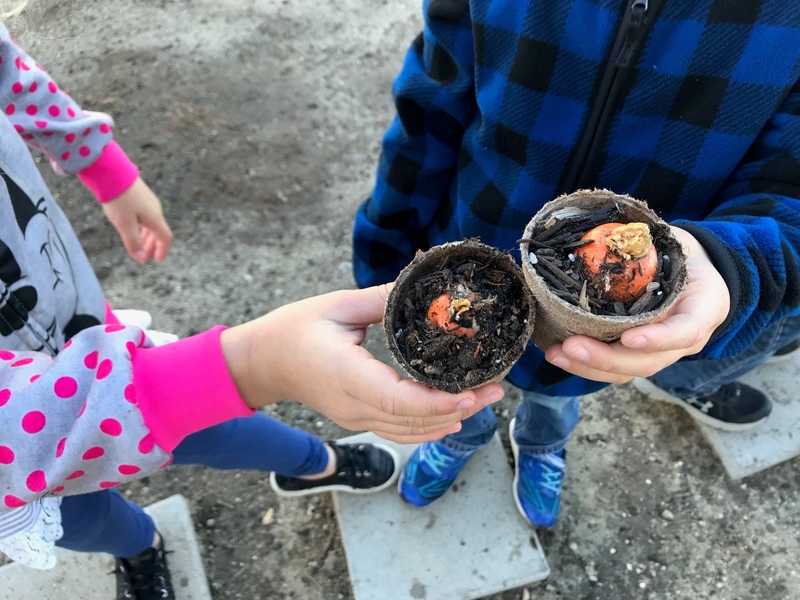 Education Specialist II, Gwyn Vanoni, organized this new literature based lesson and received rave reviews from teachers and over 100 students Los Primeros School in Camarillo, grades K-2nd. The lesson does not require much in the way of supplies. Scraps of scallions, lettuce, bok choy can be grown and harvested with just a pair of scissors in the kitchen. Carrot tops will regrow an edible, delicate garnish and celery can be harvested and replanted several times. 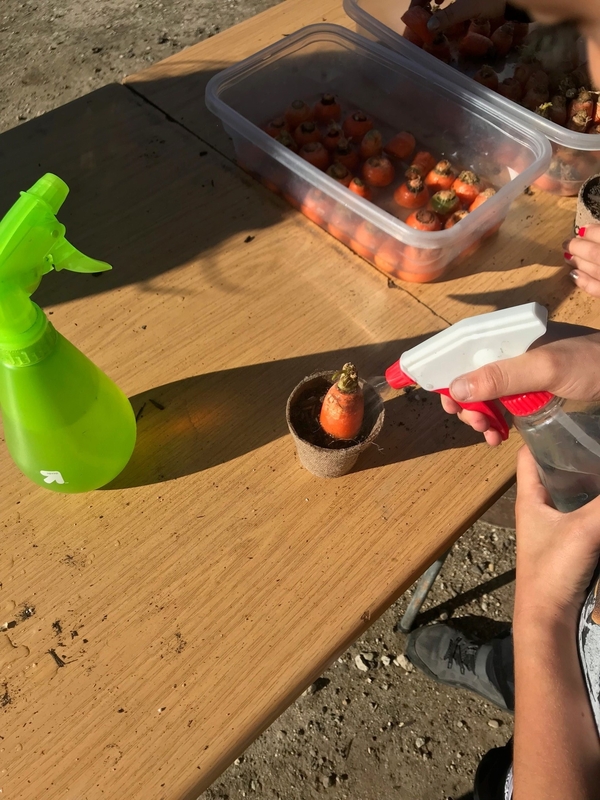 Add paper pots, a bag of soil and some spray bottles and you have the makings for a classroom or after school garden lesson. 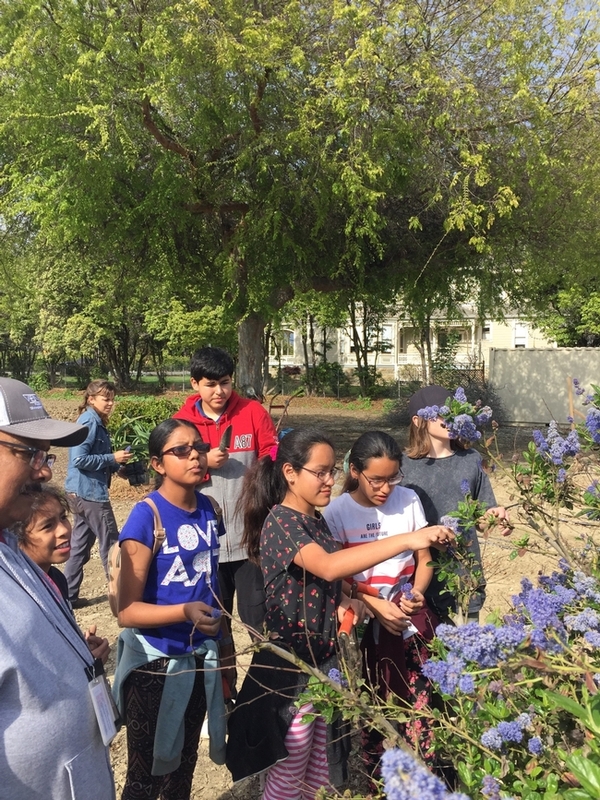 As a wrap-up, students will review that some plants can be re-grown without a seed and ponder the benefits or recycling some kitchen scraps rather than throwing them in the trash. 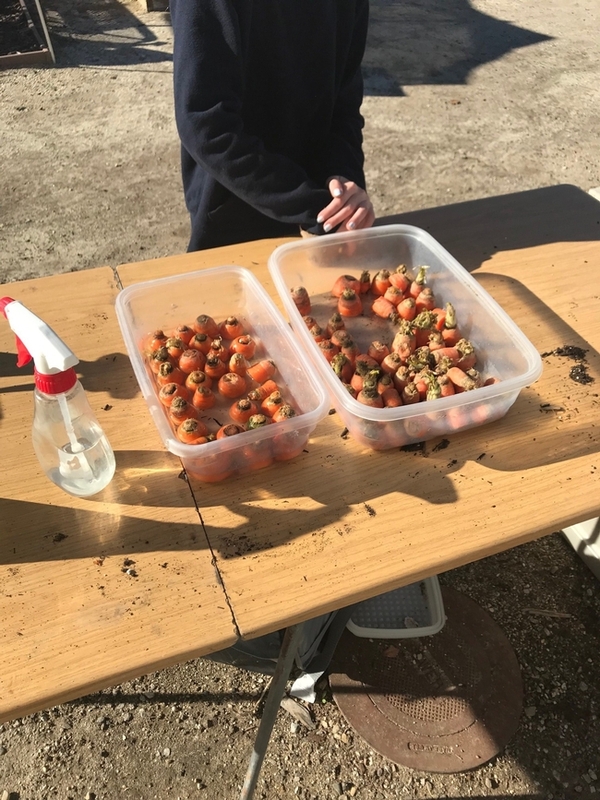 4-H Classroom Outreach--Farm to School lessons delivered at the school site is available county-wide. Visit HAREC for more information on lessons offered. 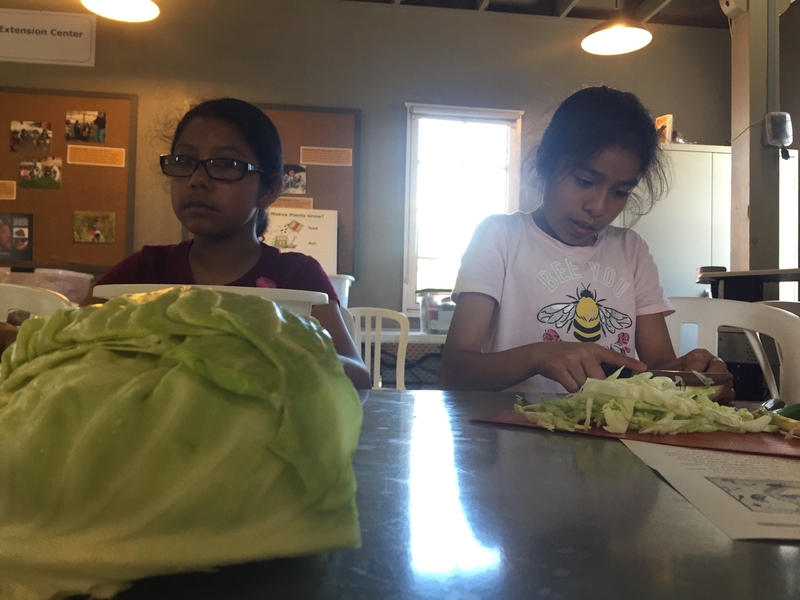 Over 2600 K-5th grade youth are reached each year; lessons are delivered by trained volunteers and staff. Plantings are ready for some sunshine. 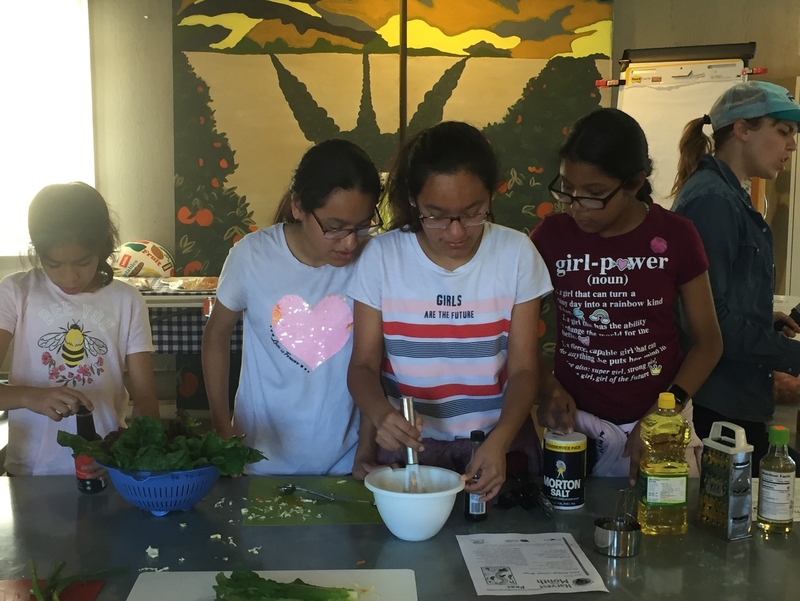 HAREC education season ended June 29th with a memorable 4-H Sustainable You! Summer Camp for ages 9-12. The week long camp, now in its fifth year, is fun, interactive and focuses on the environment. Each day centers on a theme: air, land, food, energy, water…..and shows youth how to reduce their footprint and preserve natural resources. 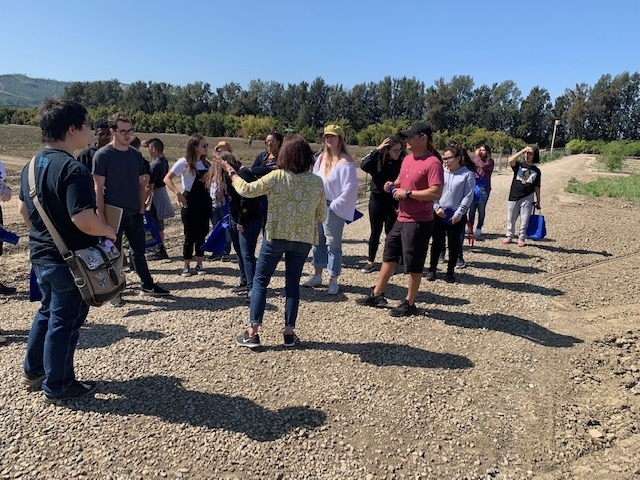 Environmental Educators, Angie Williams and Nick Shoemate from the City of Ventura Water and Environmental Sustainability Division did an amazing job sharing their knowledge and extending daily activities to 18 campers. This is our fourth year collaborating with the City. 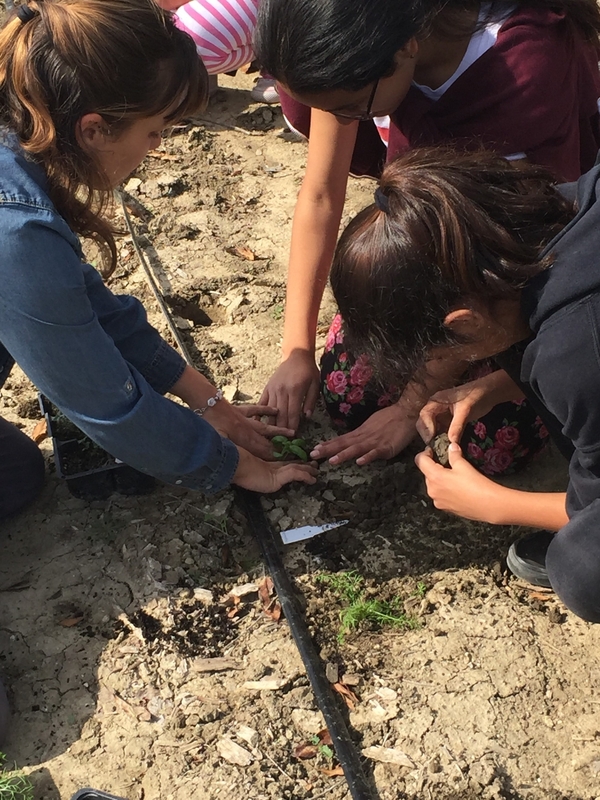 Teen Leader, Sara Centeno, Oxnard High School senior, helped engage youth in activities, games and enthusiastically took on the task of tracking and reporting on daily trash, recycling and composting waste. 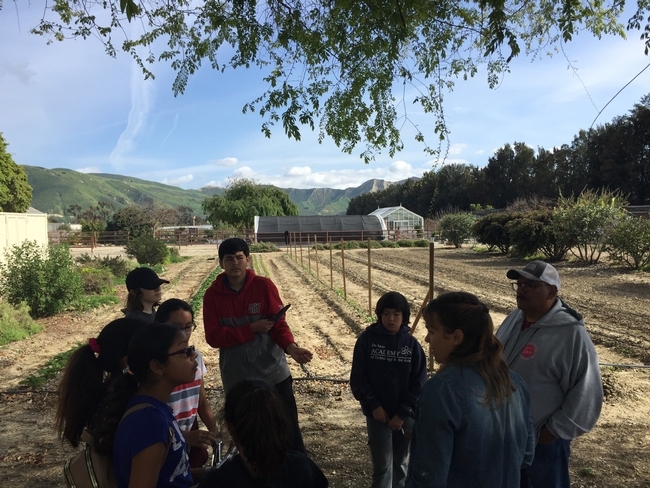 Over 6800 youth participate in 4-H farm field trip, classroom outreach, after school and summer programs, as well as various community based STEM activities. The HAREC education staff appreciates the support of partners such as the City of Ventura and Ventura Unified School District as well as all the 4-H and Master Gardener volunteers that work so diligently throughout the year to make youth programs possible county-wide.